Time to stop and think…. My friend’s Father-in-law died yesterday. He has been very ill, had dementia and had fallen an broke his hip. Because of all the complications, they could not do much except make him comfortable. So in some ways, the passing was merciful. There are a lot of things I’ve been putting off – till I have more time, or the kids are older. We’ve been talking about an extended family trip to Disney World for years now. My parents live in Michigan, my brother and his family in California and my family is in Pennsylvania. The idea is to all meet up in Florida, rent a condo and “experience the magic” together. I was trying to wait – my twins are only 4 and I wanted them to remember it. But maybe waiting is not such a good idea. Something to ponder…. Tree stamp by The Angel Company. 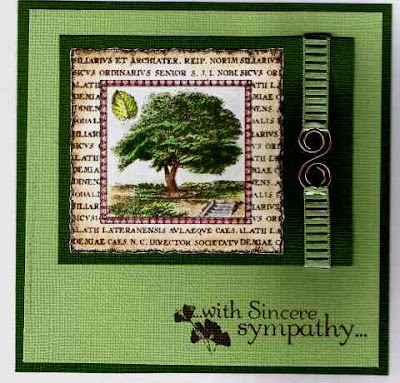 Sympathy stamp by Club Scrap. Colored with Prismacolor pencils and odorless mineral spirits. 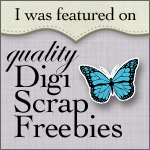 This entry was posted in Uncategorized on February 7, 2007 by Cathy. This is a beautiful, elegant card…you did an excellent job coloring in the image!